I am sitting now waiting for some new things I ordered just after the World Championship. Some of the new things today you only here about before you order them. 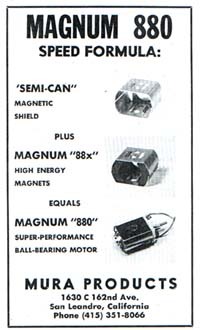 How was it in the 60:s. Could you always read about new bodies and motors and see images of them in catalogues and magazines? Was it because slotracing were bigger then or had material a longer life span so it was worth doing ads? Maybe both bigger market and longer life span is true, or? Please e-mail me back with your memories. What I know is that when I started slotracing 1974. There were more catalogues with photos of set-ups, bodies and also how-to articles. For you that like the past, as well as the time you're living in now. 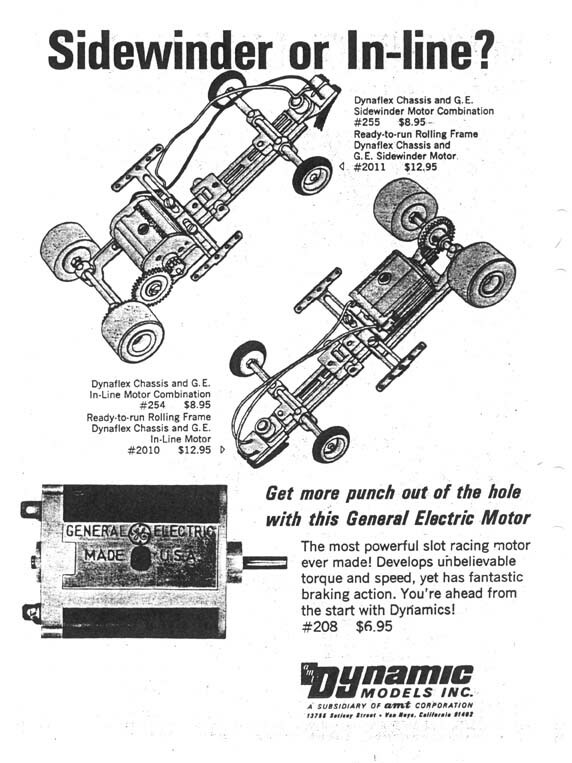 Here are some ads from the early times in slotracing.